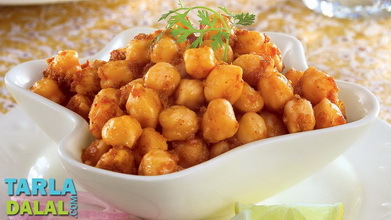 A favourite with most people while eating out at any punjabi restaurant! 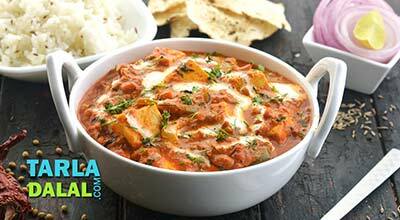 paneer makhni as the name suggests is a very rich subzi from the lap of the punjab. 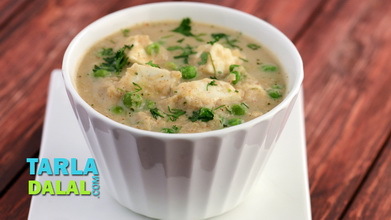 It uses one of punjabi cuisines most loved ingredients butter. In traditional punjabi houses, the women folk make pure white butter from thick creamy milk. The liquid that is left over after the butter has been removed is very delicious and cooling and makes a tasty drink. 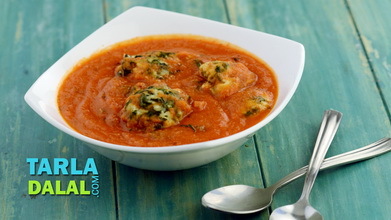 Soft paneer chunks are dunked into a rich tomato based gravy a must try for all paneer lovers! 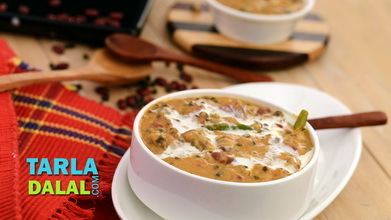 Combine all the ingredients along with 1 1/2 cups of water in a kadhai and boil on a high flame for 10 to 15 minutes or till the tomatoes are soft, while stirring occasionally. Heat the butter in a kadhai, add the garlic paste and sauté on a medium flame for a few seconds. Add the cinnamon, cloves, cardamom and bayleaf and sauté on a medium flame for a few more seconds. 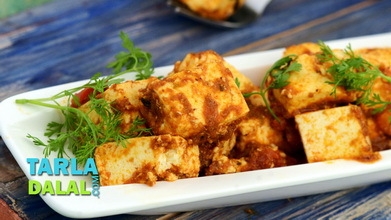 Add the dried fenugreek leaves, garam masala, tomato purée and red gravy and sauté on a medium flame for another 2 to 3 minutes, while stirring continuously. 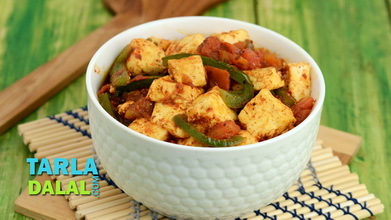 Add the sugar, 1/4 cup of water, paneer and cream, mix well and cook on a medium flame for another 2 minutes. Tarla Dalal Thanks Sayani. We are delighted you loved the recipe. Please keep posting your thoughts and feedback. Happy Cooking.